Applying for the British Conference of Undergraduate Research was on of the best things I have done in my university life. The process was surprisingly simple, despite what I first thought. Could you help review undergraduate research abstracts? Reviewers are sought to help select students with the best undergraduate research to represent Newcastle University at British Conference of Undergraduate Research (BCUR) events. Successful students will represent Newcastle University with a poster or oral presentation at the main BCUR conference in the Easter vacation, or with a poster at Posters in Parliament in February / March. You will need to have time the w/c 26th November to review approximately five to ten 300 word abstracts. Staff from all disciplines are welcome, as specific subject knowledge is not required to review the abstracts. BCUR’s events are generalist, so contributions are expected to convey findings and their importance to a non-specialist audience. Rating criteria will be provided. The reviewing panel will not convene physically; it will be done electronically. Find out more or volunteer by getting in touch here. This opportunity to submit an abstract to the conference will be promoted to students soon. If you have any questions, or know of any students with some impressive undergraduate research, feel free to contact Stephen Overy or Damien Hall here . 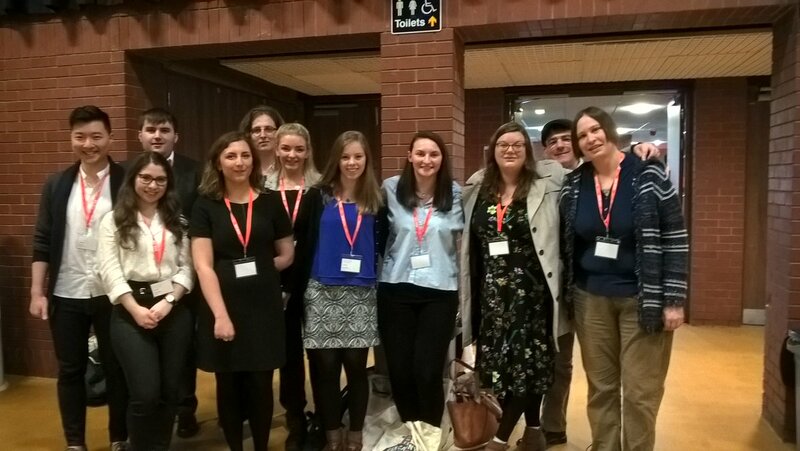 Thirteen Newcastle University undergraduate students brilliantly represented all three faculties and their own research at this year’s British Conference of Undergraduate Research (BCUR). This annual event is going from strength to strength with over 250 presentations and 180 posters over two days at this year’s host institution, the University of Sheffield. Recognising that this was a fantastic opportunity for students to demonstrate their learning and develop key employability skills, Professor Suzanne Cholerton (Pro-Vice-Chancellor, Learning and Teaching) sponsored eleven students to attend. An extra two students successfully applied for funding from their Schools, so Newcastle was very well represented.